At one time the home of the Waccamaw and Winyah Indian tribes, the Myrtle Beach area is now a premiere beach destination attracting 15 million visitors annually. Each year they flock to our patch of paradise to explore our 60 miles of beautiful coastline and experience the splendid multitude and diversity of our attractions. 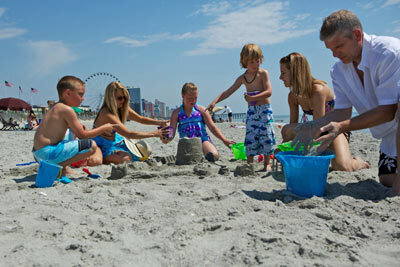 The Myrtle Beach area is blessed with more than 200 sunny days and a temperate year-round climate. 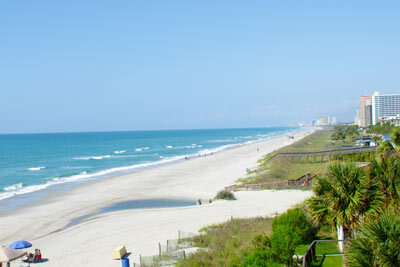 This is a beachgoer's paradise, with endless hours of swimming, surfing and sailing at their disposal. The Sports enthusiasts will love our more than 100 championship golf courses. And if your sport of choice happens to be fishing, one of our many piers or charters is sure to please. As the day turns to night, satisfy whatever craving you have at one of our nearly 1,700 eateries along the Grand Strand. We're cooking up everything from award-winning to seafood to mouth-watering steaks, along with everything in between. Once dinner comes to an end, it's time to enjoy the Myrtle Beach area's nightlife. Whether you're in the mood for dancing at one of our popular nightclubs, seeing an award-winning show or simply enjoying a moonlight stroll out on our piers, you're definitely not going to call it an early evening. For those needing some retail therapy, pack a pair of comfortable shoes. Trust us, you'll need them for the shopping spree that could take you through hundreds of outlet shops, specialty stores, trendy boutiques and magnificent malls.